Jewellery retail is unique. It’s a mixture of fashion, science, and tradition. Often love, loss and expectation are drivers, and emotions run high. Last year, PwC research found that whilst 15 shops closed on the high street each week, the number of jewellers operating on Britain’s high streets was actually on the rise. 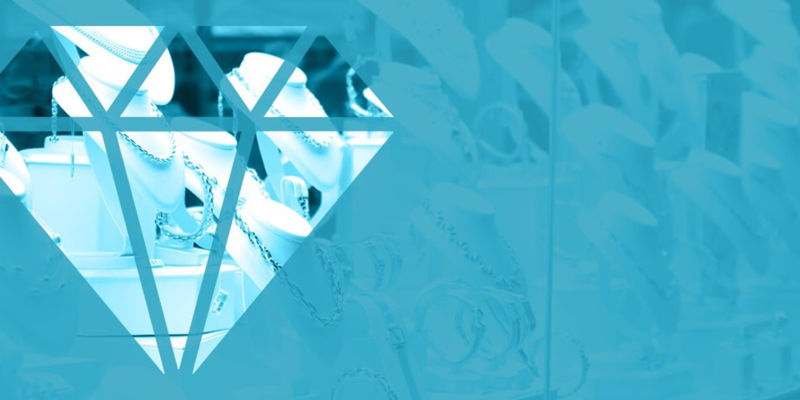 The jewellery sector is thriving, but many jewellers are still lagging behind general retail when it comes to connecting online and in-store services. Despite the jewellery sector ‘thriving’ on the high street as PWC found, it seems that the jewellery sector is yet to create a fulfilled omni-channel experience for its customers, Elaine explains; “Jewellers are missing out massively on sales and getting more customers in store for that reason. I think with the millennial shopper everything is available now on the internet. People are shopping on their devices and they want to see what stores the stock is available in”. Jewellers who do not create that seamless experience for their customers in moving between online and in-store, are missing out on a whole market of consumers such as the millennials, who do expect to be able to shop via their mobile devices and then head into store to collect or try on their items. A smart use of digital tools can augment the customer experience and bridge the gap between online and in-store. However, its not all about the customer experience, by creating a true omni-channel experience, the business can be also benefit internally. As Elaine states, by having a single view of stock, “the retailer would see a huge benefit because the staff can be better informed as they can see real-time stock levels, they can have a look at other locations, helping the consumer there and then”. Enhancing the customer journey and adopting an omni-channel approach is quite prevalent in the report, and the most simple way to help jewellers do this is via the cloud. The cloud has many benefits, as outlined by Elaine, businesses can “centralise stock, centralise customer data and also things like customer loyalty, capturing customer’s details, recognising and identifying shopping habits and getting to know the customer; which would reap benefits for the retailer”.